The ace actor mamootty made his appearance ein Kollywood way back in 1990’s. Here is a quick look at the best songs of Mamootty from his Tamil Movies. ‘Kalyana Thennila’ remains one of the evergreen hits until today. Ofcourse this was Mamootty’s first film in Tamil and thanks to the beautiful lady Amala by his side, the song takes the top position In the best romantic numbers ever composed. Balachander roped him in again in 1991 for Azhagan. This movie had a brilliant music album and almost all songs became a hit. Ofcourse our personal favourite is ‘Sathi Malli Poocharame’. Moamooty’s third consecutive hit in Kollywood was ‘Thalapathy’ with Rajinikanth by sharing the screen space with him. Needless to say, ‘Kaatukuyilu manasukula’ is everyone’s all time favourite. The next consecutive years saw Mammootty in various roles in a range of movies like Arasiyal, Pudhayal, Makkal Aatchi etc. Although a movie that made a difference breaking a monotony in his role was the movie Maru Malarchi which released in the year 1998. A song from this movie that made a good impact was ‘Ayarindu madhangal’ sung by Unnikrishnan. With Kandukondein Kandikondein releasing in the year 2000, there was more scope for acting for Mamootty with a challenging role given to him and with an amazing star cast like Aishwarya Rai, Thala Ajith sharing the screen with him. Needless to say,Mamooty made a mark with this movie too. Mammootty was seen in the movie ‘Anandham’ the following year, making a clear statement that he can also fit the bill of being the sentimental ‘brother’ too. The hit song from this movie was ofcourse the sentimental ‘Aasai Aasaiyaaai irukiradhe’ in K.J Yesudas’s voice. Following this, Mamootty made appearances in other movies like Junior Senior, Karmegham , vandhe Maatharam and Vishwa Thulasi. 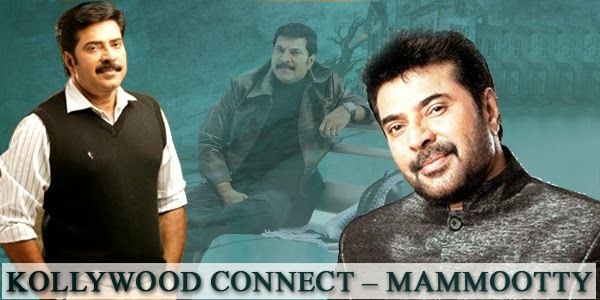 Raaga.com hopes to see Mammootty back in action in Kollywood.